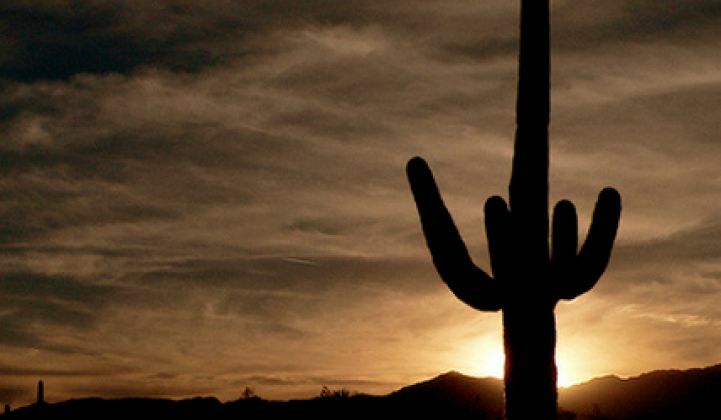 GTM Research crunches the numbers on the levelized cost of electricity for Arizona. In recent weeks, the solar industry has been focused on the Arizona Department of Revenue’s ruling that third-party-owned distributed solar will likely be subject to property taxes. This change in the interpretation of Arizona’s tax code would cost the average customer leasing a residential solar array approximately $152 per year, decreasing the economic viability of third-party-owned distributed solar. As a result, many in the industry are worried that the distributed solar market in Arizona, which was the third-largest residential market in the United States in 2013, will crater in 2014. A new analysis from GTM Research suggests that the ruling could have a material impact on Arizona’s residential solar market. GTM Research analyzes the levelized cost of electricity for photovoltaic solar on a state-by-state basis to determine where and when PV solar will reach grid parity. The LCOE represents the per-kilowatt-hour cost of building and operating a generating plant over an assumed financial life and duty cycle, and it is often cited as a convenient summary measure of the overall competitiveness of different generating technologies. A general rule is that distributed solar is competitive when the LCOE is below the applicable retail rate of electricity. Our analysis for Arizona concludes that the LCOE for third-party-owned (TPO) distributed solar in 2014 is 11.1 cents per kilowatt-hour, which is below Arizona’s average retail rate of electricity for the residential market of 11.3 cents per kWh. 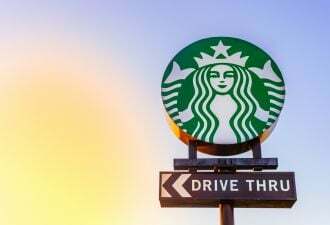 However, subjecting TPO distributed solar to Arizona’s recently imposed annual fixed charge of 70 cents per kilowatt for solar systems increases the LCOE by 0.5 cents per kilowatt-hour to 11.6 cents per kilowatt-hour, slightly above the average residential retail rate of electricity. 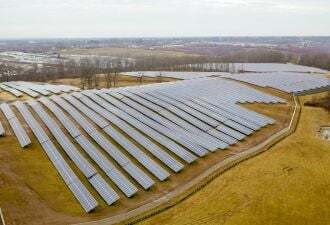 Adding a property tax of 0.6696 percent on solar systems increases the LCOE by an additional 0.5 cents per kilowatt-hour to 12.1 cents per kilowatt-hour, which is well above the average residential retail rate of electricity. This finding suggests that the value proposition for installing TPO distributed solar in Arizona in 2014 has been damaged by the recent policy shifts. Update: However, note that most solar customers in Arizona are on time-of-use rate plans and the average avoided time-of-use rate is typically higher than the average residential retail rate. Whether or not distributed solar is competitive for a given customer should be done with the customer’s specific rate. 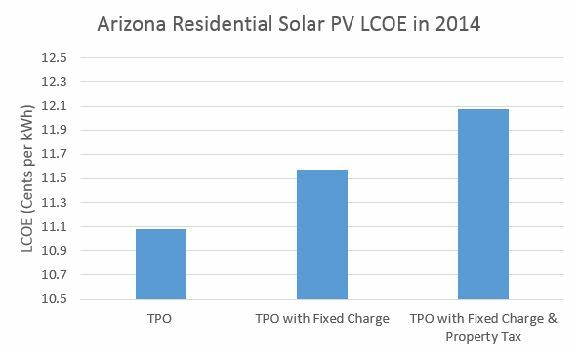 This analysis only demonstrates that the recent policy shifts have raised the LCOE of TPO distributed solar in Arizona. The LCOEs employed in this analysis were calculated inclusive of the 30 percent federal Investment Tax Credit and 5-Year MACRS accelerated depreciation, but without any further state incentive to reflect the fact that 52 percent of residential solar in Arizona in the first quarter of 2014 was installed without a state incentive. 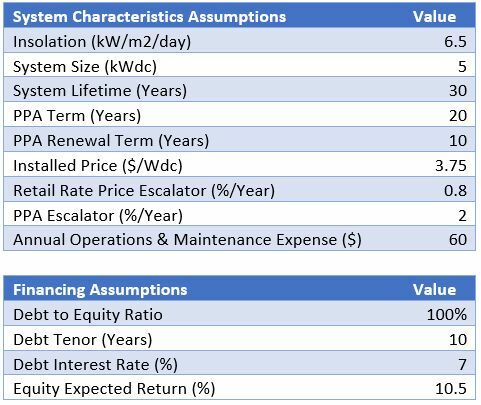 The system characteristics and financing assumptions shown in the following table were used to calculate the LCOEs in this analysis. Subscribers to GTM Research's solar program gain access to industry-leading solar analysts, reports, data, events, and briefings. Learn more here.